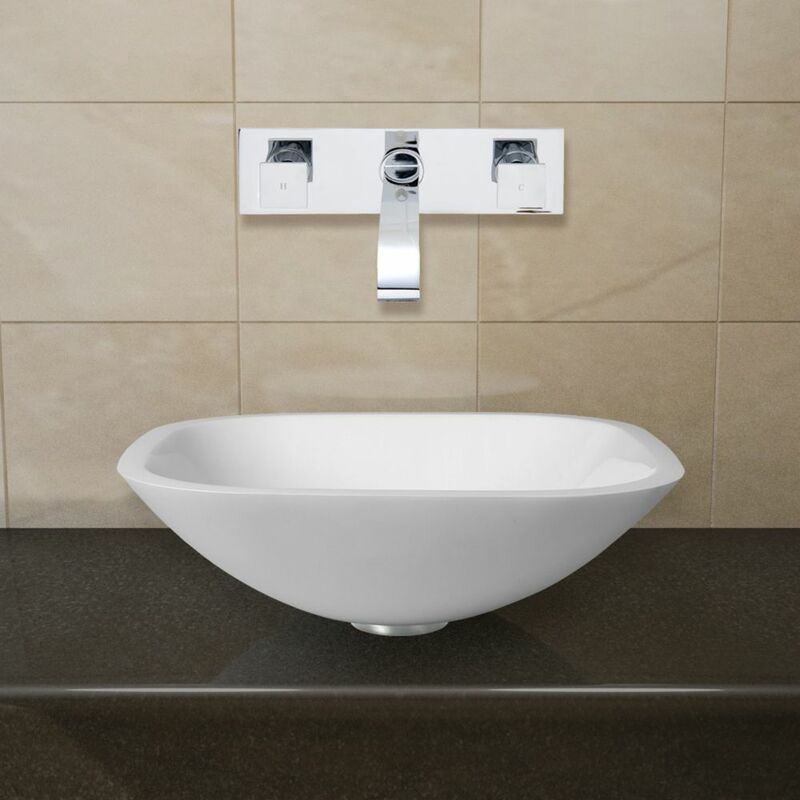 With a flat-edged square design, the VIGO Begonia Matte Stone Vessel Bathroom Sink will be sure to add a soft yet modern touch to your bathroom renovation. Crafted from ultra-durable Matte Stone PMMA, this sink resists stains and scratches over time, while the smooth matte surface is easy to clean. This vessel bowl sink set also includes the unique VIGO Titus Wall Mount Bathroom Faucet in antique rubbed bronze, along with a matching drain pop-up.